The Serie 5 was a multi-user system. It could support from 1 to 3 users. It had a 5 MB Winchester hard-drive and could be upgraded with a 10 MB hard-drive (for the Serie 5D only). It could use CP/M, MP/M II or Oasis as its operating system. 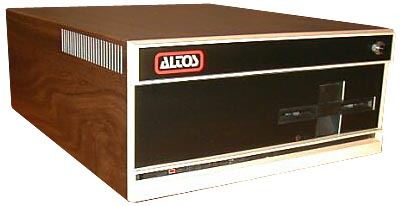 The serie 5 was quite similar to the Altos ACS-8000 which was a bit more powerful. see more Altos Computer Systems Serie 5 Ebay auctions !